How Are Spousal Support Payments Affected By Bankruptcy? Obviously, it is would be difficult to make alimony payments if you are bankrupt – in fact, it makes it near impossible. As many divorcing couples know, alimony is what is known as a nondischargeable form of debt. This means that regardless of one’s financial situation, these debts are not alleviated from the debtor. Along with alimony, child support is also a nondischargeable form of debt. So in almost all cases, spousal support payment requirements cannot and will not be negated through bankruptcy. With that being said, there are two, and only two, situations in which alimony requirements can be eliminated. The first one is known as “Third Party Involvement”, and is very self-explanatory. Let’s say the alimony collector, through a written document, assigns their parent or close relative to be the one to initially collect it, and then subsequently has that relative pay them the alimony (ex-mother in law receives payment, then gives ex-spouse the alimony). In this case, a case can be made to eliminate the alimony payment requirements. The only other time alimony is nullified is in “Incorrect Alimony Classification”. In basic terms, if the ex-spouse that is making payments is mandated to send those payments to an affiliate of the other, a company or the like, then by definition, it is not alimony, as it is not pertaining to domestic maintenance, which is the point of alimony. Therefore, because it is not formally alimony, it can be discharged. 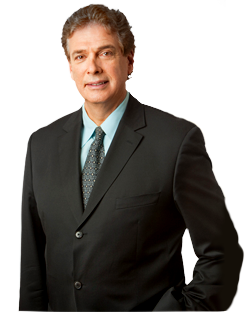 If you have questions regarding spousal support or alimony payments in New York, contact Paul E Rudder, Esq, an experienced and top-rated divorce attorney in New York City. Call Paul Rudder at 212-826-9900. Historically, when men were the predominant “breadwinners” in a typical family, it was often the case that, in a divorce, the husband would pay what is known as spousal support to the wife. Spousal support is a financial help that recognizes a spouse’s contribution to the marriage and helps the recipient achieve financial independence. However, times have certainly changed, and women are just as likely to be bringing home the majority of money as their male counterparts. What is great about spousal support, amongst many things, is the fact that it is designed to be gender neutral, as to not set a standard of one gender paying the other, but instead to make it about the total income. So, it is more than likely that the husband can receive spousal support from his soon-to-be ex-wife, depending on other factors, such as the duration of the marriage. Other reasons a court might grant spousal support is if the spouse receiving the support is disabled or is unable to work. The courts are very aware that some spouses may claim they are not able to get a job, or purposely leave a high-paying job for a lesser one in the hopes of not only avoiding paying support but instead being granted with alimony. Likewise, you cannot choose to be unemployed and expect just to receive support; it exists solely for the spouse who not only need it but are separating from someone who can, quite literally, afford to pay the support. It should be noted, however, that spousal support does not extend to every expense. For example, just because a spouse has been awarded spousal support, it doesn’t mean that the “paying spouse” must also take on their legal expenses. Having to pay for your spouse’s legal fees is usually a punishment leveled by the court, not something that is usually earned. The courts tend to think that each party is responsible for choosing an attorney who is within their means. My Spouse Is Filing for Divorce. Can I File for Spousal Support To Help Pay Debts I Incurred In His Behalf? The purpose of alimony or spousal support is to limit the economic effects of a divorce proceeding. It is granted to the unemployed or lower-wage-earning spouse as a source of continuing income. The court is aware that there are countless, justifiable reasons for one of the spouses to be unemployed or earning lower wages. For instance, it is very common for one spouse to end or halt their career to support the family, be it at home or anywhere else outside of work. The court sees a significant importance in continuing the standard of living that a spouse may have grown accustomed to during the marriage. Unlike child support, where there are very specific monetary guidelines, there is more leeway concerning the awarding, the duration, and the amount of alimony. Under the Uniform Marriage and Divorce Act, where most states’ spousal support statutes are based on, are a few recommendations for the court to consider when making decisions related to alimony. Things like age, physical and emotional condition, as well as financial conditions are the big factors that courts look at first. Then they decide how long the recipient would need spousal support until they became self-sufficient enough to get back into the workplace. Next, they examine what the standard of living was during the marriage, as well as how long the marriage lasted. And finally, the ability of the PAYING spouse to support the recipient, while still being able to support themselves (imperative to note). Unlike with child-support, where the court “has ways” of punishing you for not paying, there are not too many things a court can do if one spouse isn’t paying alimony. However, the spouse who should be receiving the payments can go to the court in a contempt proceeding to force the payment. Once there is a court order for alimony, the court can leverage punishment to a spouse who is supposed to be paying the entitled person. What’s New in New York’s Spousal Maintenance Law? The rules regarding spousal maintenance, otherwise known as alimony in divorce law, has gone through a tremendous change last 2015. Last September 2015, Governor Andrew Cuomo signed a huge divorce law overhaul that has since gone into effect October 25th. This recently enacted statute keeps the transitory maintenance guidelines, that is, the expected payments made during the ongoing trial and also extends this to alimony awarded after the divorce, or maintenance for a set, finite amount of time after the judgment has been entered. In addition, the previous law had a capacity of $543,000.00 set for the spouse’s earnings to be considered in any maintenance guideline calculation, whereas now the maximum is $175,000.00. The limit, however, will change, with respect to the Consumer Price Index and its fluctuations. At a court’s discretion, a judge may allow a higher income, more than what is allowed or even deviate from what is stated in the guidelines. While the divorce process is ongoing, family expenses need to be continuously allocated and considered between the two parties by the court where it is deemed fitting.